He came from the wrong social class, the wrong place and the wrong profession. He ate with the wrong people, championed the wrong causes and attracted the wrong kind of supporters. He even spoke with the wrong accent. In fact everything about Jesus of Nazareth was wrong. How could this odd-job man be God's Messiah?To the authorities he was a dangerous rebel; to the pious he was scandalously unorthodox. Even his family thought he was mad. But somehow this builder from 'up north' - this outrageous, unorthodox, rebellious teacher and miracle worker - changed the world. In this illuminating new biography, Nick Page strips away centuries of misrepresentation and myth to reveal the real personality portrayed in the gospels. Drawing on a wealth of historical and archaeological research, the result is a startling and vivid new portrait of Yeshua ben Yosef -- Jesus of Nazareth. Challenging and though provoking, The Wrong Messiah will change the way you view Jesus: the man who in so many ways seemed utterly wrong, but who history has proved triumphantly to be right. 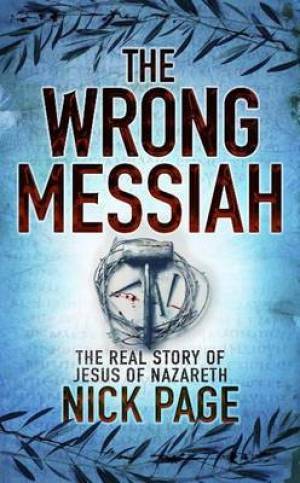 The Wrong Messiah by Nick Page was published by Hodder & Stoughton in February 2011. The ISBN for The Wrong Messiah is 9780340996270. The title The Wrong Messiah expresses the confusion felt by the Jews. He was not the sort of Messiah the people expected. Whatever their different expectations might have been, they were ‘wrong’. Nick Page is not saying his interpretation is irrefutably correct, he is offering ideas and teasing out meanings to help us make up our own minds. He offers us what he believes to be true. I was so taken with this book, that I am now reading the previous title about Holy Week, The Longest Week – The Truth About Jesus’ Last Days. already reviewed by another. Highly recommended. Got a question? No problem! Just click here to ask us about The Wrong Messiah.